In 2006, Laoise T. Moore and the folks at Trinity College in Dublin published a paper famous for identifying the modal haplotype of Irish High King Niall of the Nine Hostages. In their work, they used seventeen Y-DNA STR markers. While time to most recent common ancestor (TMRCA) calculations have accuracy issues, having only 17 markers gives a common ancestor over 2,000 years ago. What the Trinity folks really accomplished was the identification of Niall’s paternal ancestor from over 400 years earlier. The media in 2006 had a field day in their interpretation that most of Ireland is descended from Niall. “Niall may be the most prolific male in Irish history.” Also at 17 markers, there is a very high probability of convergence. Through normal mutations, haplotypes can change over time to appear similar or identical to other haplotypes. The lower the number of markers, the higher the chance of convergence. At that time only high level SNPs were tested to determine haplogroup. Without terminal SNPs it would have been impossible to recognize convergence, if it existed in the samples. In my research on the Kings of Ireland, I have used 67 markers to reduce the chance of convergence and to calculate the age of common ancestors on the descendant side of the target rather than the ancestor side. I will demonstrate traditional median-joining networks and novel “tribal” markers for the identification of four historic Kings of Ireland. Did Trinity get Niall’s haplotype correct with the limited data they had at the time? A modal haplotype is a ghost of a person. When we look at multiple DNA test results and calculate the mode, by definition we are just taking the values that appear most often. There is no way to determine if the modal haplotype is the actual haplotype of the historic individual we are researching (short of historic samples). While the modal is not perfect, it will be close enough at 67 markers for us to determine the genetic “ghost”. 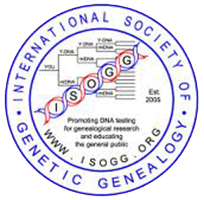 The septs of Ireland provide us an opportunity to develop genetic genealogy techniques and processes. Irish surnames are typically patronymic. The surnames generally take the form of Mac Cárthaigh (McCarthy), meaning son of Cárthaigh or Ui Néill (O’Neill), meaning grandson / descendant of Néill. Irish septs serve as a collective of related families with shared ancestry and patronymic surnames. Multiple septs then belong to larger dynasties such as the Eóganachta and the Dál gCais. If septs are patrilineal, then Y-DNA haplotypes should be consistent across sept surnames. Research on the Uí Néill haplotype started with a geographical selection and then a subsequent reduction by sept surnames (Moore et al 2006). For each target sept, affiliated surnames were identified. In the case of Uí Néill, the following surnames and associated Y-DNA STR records were accessed from Family Tree DNA projects: O’Neill, Gallagher, Doherty and O’Donnell. The selection includes 600 records and 5 common European haplogroups. 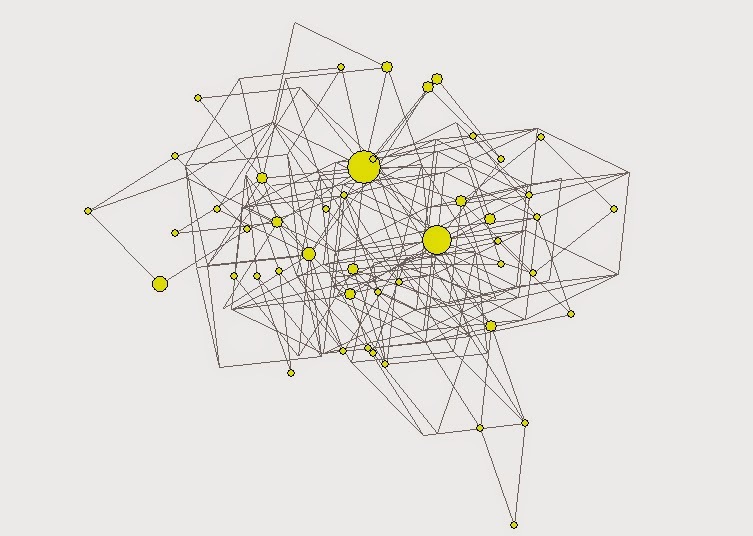 Median-joining networks have been in use for over a decade for the visualization of genetic relationships. The use of them at 67 STR markers has been rare, but it should be the norm. 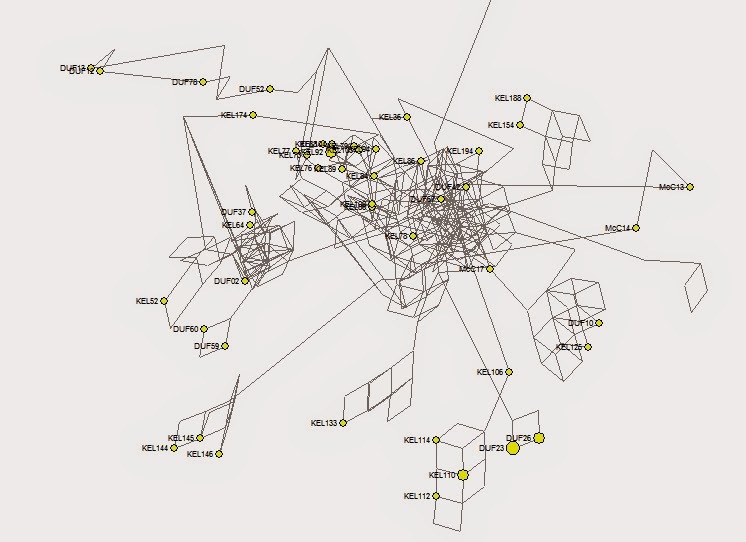 This first image has the central cluster of a median joining network based on 25 STR markers from the Uí Néill group. It is just a single cluster with no differentiation. Figure 1 - Using only 25 STR markers, the Uí Néill network collapses to a single cluster. When we look at the same group using 67 markers, we get four distinct clusters, each with their own SNP. The cluster at the far right is predominantly R-L159 and the cluster at the lower right has R-P311/R-L151 nodes. The cluster at the left contains all of the Uí Néill dynastic surnames, has the majority of nodes and is SNP R-M222, which is consistent with earlier studies. Figure 2 - View of the Uí Néill network torso showing four distinct clusters. Three groups on the right are O’Neill only. As a double check to make sure that I wasn’t seeing some other phenomena, I analyzed three random Irish surnames; Duffy, Kelly and McCormick. The random sample produced over ten unique clusters with no surname overlap. This comparison shows that septs are patrilineal and that Y-DNA haplotypes are consistent across sept surnames. 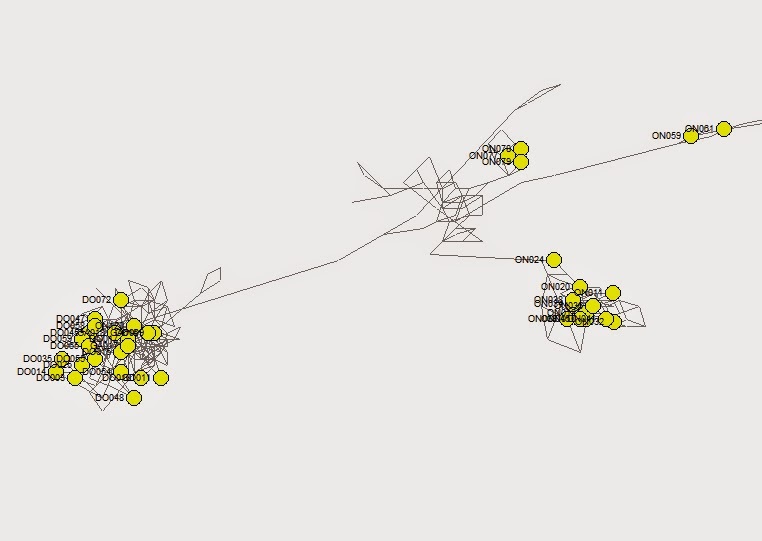 Figure 3 - Median-joining network of yDNA sampled from three random Irish surnames; Duffy, Kelly and McCormick. Re-evaluating the Uí Néill data also shows that Trinity was correct in their identification of a 17-marker Uí Néill haplotype. New data and new techniques allow us to produce a 67-marker haplotype. Figure 4 - Sixty-seven STR Uí Néill Modal Haplotype (Niall of the Nine Hostages). A different technique that I’d like to illustrate involves the fact that not all STR markers are created equal. This method takes advantage of “slow” mutating STR markers. Each marker has its own mutation rate. By selecting the 15 “slowest” markers with an average mutation rate of 0.00024, a virtual tribal haplotype is created that would be stable within the last 2,000 years (90% probability of 80 generations). This is an order of magnitude lower than the average rate of 0.0029 used as a constant in typical TMRCA calculations. The “tribal” markers isolated are DYS426, DYS388, DYS392, DYS455, DYS454, DYS578, DYS590, DYS641, DYS472, DYS594, DYS436, DYS490, DYS450 and DYS640. To manipulate the “tribal” haplotype of 15 microsatellites faster the resulting values are concatenated into a string – ex. 12121411119168108101212811. The “tribal” haplotypes are summarized per surname and plotted to illustrate majority and affinity. Figure 5 - Uí Néill dynastic haplotypes converted into 15 marker “tribal” haplotypes and summarized. The Uí Néill dataset resolved into 37 unique “tribal” haplotypes. 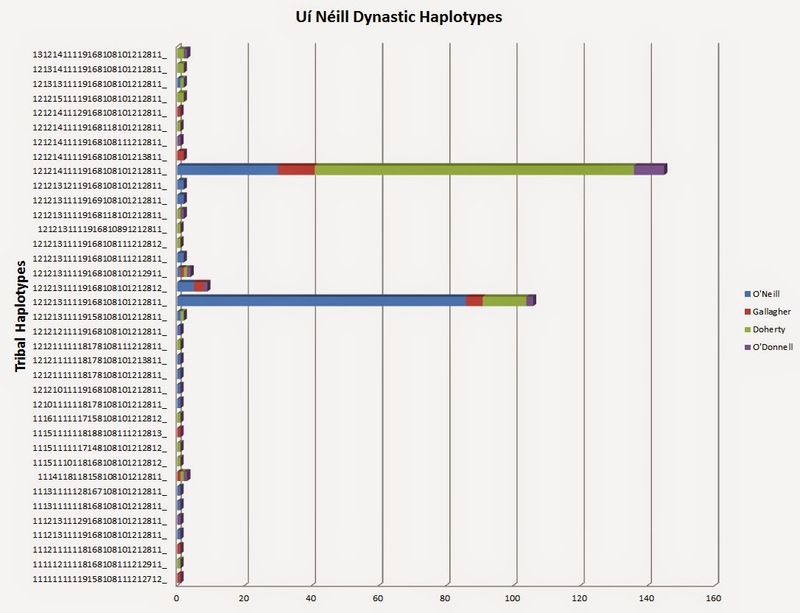 Figure 5 shows that haplotype 12121411119168108101212811 is the most dominant across the Uí Néill surnames. As with the median-joining network analysis, this “tribal” haplotype is consistent with SNP R-M222. I repeated these two techniques for the Uí Briúin sept using the following surnames and associated Y-DNA records: O’Brien, Hogan, Kennedy and McMahon. The selection includes 615 records. The Mac Cárthaigh dataset has the following surnames: McCarthy, Callaghan, Donovan and Sullivan. The selection includes 319 records. The Ua Conchobhair data has the following surnames: O’Connor, McManus, Reilly and Rourke. The selection includes 352 records. For more details, see my paper at Academia.edu. Figure 6 - Sixty-seven STR Uí Briúin Modal Haplotype (Brian Boru). Figure 7 - Sixty-seven STR Mac Cárthaigh Modal Haplotype (McCarthy Eoganachta Kings). Figure 8 - Sixty-seven STR Ua Conchobhair Modal Haplotype (Last High King Roderick O'Connor). Here are a couple of interesting insights from my research. Niall Noígíallach was High King of Ireland around 378 CE and founder of the Uí Néill dynasty. Historically, his half-brother Brión, was one of the founders on the Connachta dynasty and an ancestor of the last High King of Ireland, Ruaidrí Ua Conchobair. If their genealogies are correct, the evidence is in their descendant’s DNA. The data shows that Uí Néill and Ua Conchobair share the same SNP, R-M222. The Uí Néill and Ua Conchobair modals are a 6-step match at 67 markers. There is a 99% probability of a relationship not further than 1,260 years ago. The results make a strong case for the validity of this historic genealogy. Brian Boru, High King of Ireland in 1002 CE, belonged to the Dál gCais dynasty and Tadhg Mac Cárthaigh, the first King of Desmond, belonged to the Eóganachta dynasty. Ancient genealogies have the Eóganachta and Dál gCais dynasties descended from Ailill Aulom, the son-in-law of legendary king Conn of the Hundred Battles. The Mac Cárthaighs and Uí Briúins do not share the same SNP (R-L226 vs. R-CTS4466), but by descent they would share a common R-DF13 ancestor. The Mac Cárthaigh and Uí Briúin modals are an 11-step match at 67 markers. There is a 99% probability of a relationship not further than 1,920 years ago. This puts a Mac Cárthaigh-Uí Briúin common ancestor as a contemporary of the legendary Conn.
New and improved genetic genealogy techniques are invaluable for the identification of historic individuals and the reconstruction of distant family trees at the macro level. So, Built the Kid was probably related bring his mother was a McCarthy and John McCarthy too? In my research most of the O'Brien family are descendants of the Bryan or Brienne family from Normandy, France and Wales. The Brian Baru male line DNA Y haplogroup R1b1c7 or R-M222 which has the same descent as Niall of the Nine Hostages died out and only survived through his female descendants in the Diarmait I mac Mail na mBo O'Cheinnselaig, King of Ireland/MacMurrough family through the de Clare family; O'Conchobair/ O'Connor family, Kings of Connaught; Mar and Montgomery families. The Counts de Brienne family DNA Y haplogroup R1b1a2 or R-M269 subgroup L21-L745 were of direct male descent from the Merovingian Kings and also descendants of Jesus of Galilee through his daughter Sarah by some accounts. 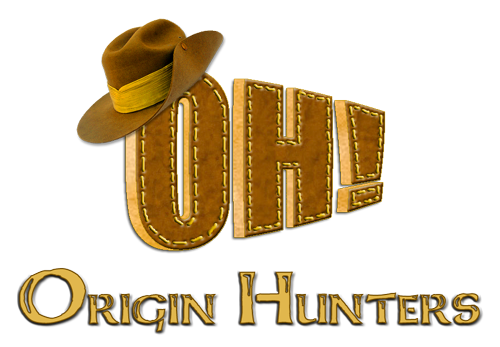 Any O'Briens that aren't of this haplogroup are probably of some of the female lines of either Brian Baru or the Brienne families. How about the O'Rourke's I would love to find out. Please locate the McCormick family you mention above. It appears to be my family. 23&Me says I am a son of Uí Néill . Dear Grandpa: Are We Related To Any Famous Authors?